Fresh fruit season is coming in the Northeast. I’ve still got blueberries in our chest freezer from last summer, and I’m working on ways to use them up before all the delicious new stuff makes an appearance. These were an attempt to create a cookie with fruit that H would eat. I don’t like raisins, and blueberries seemed like a great oatmeal cookie substitute so I hit up Pinterest for some recipes. 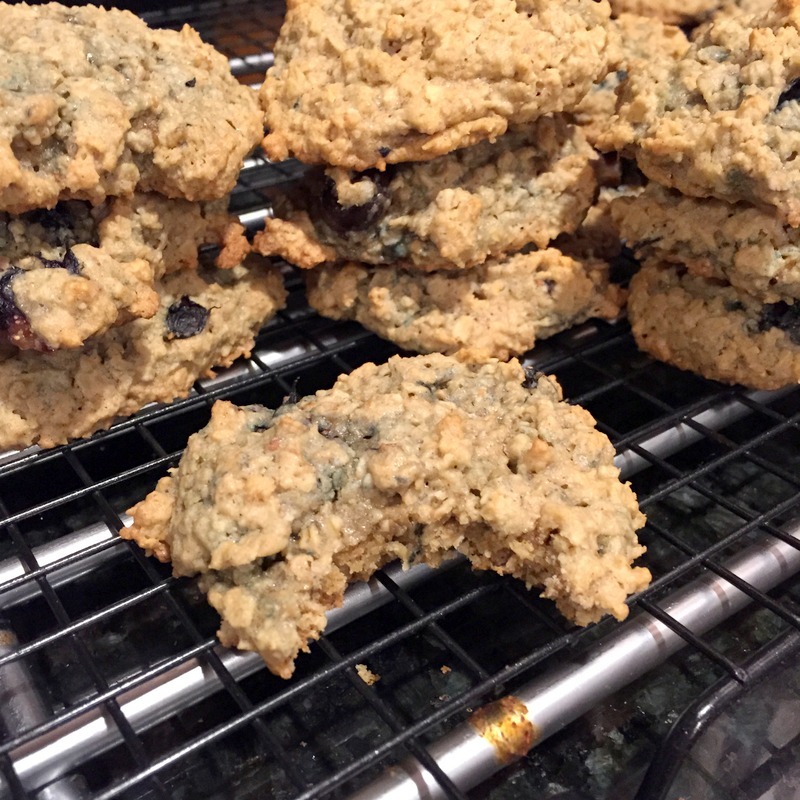 And H loved them…except she just ate around the blueberries. 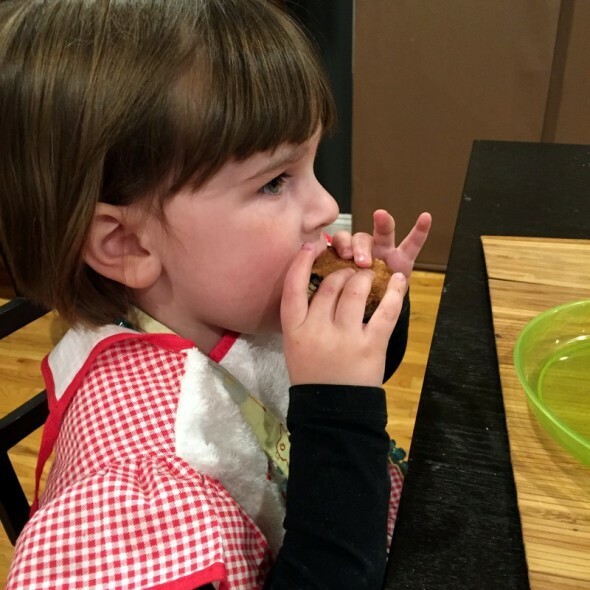 Listen, life with a picky eater and food therapy graduate is a roller coaster of trial and error. But, these cookies were still pretty delicious. I actually made them during the winter when we needed something homey and fresh. 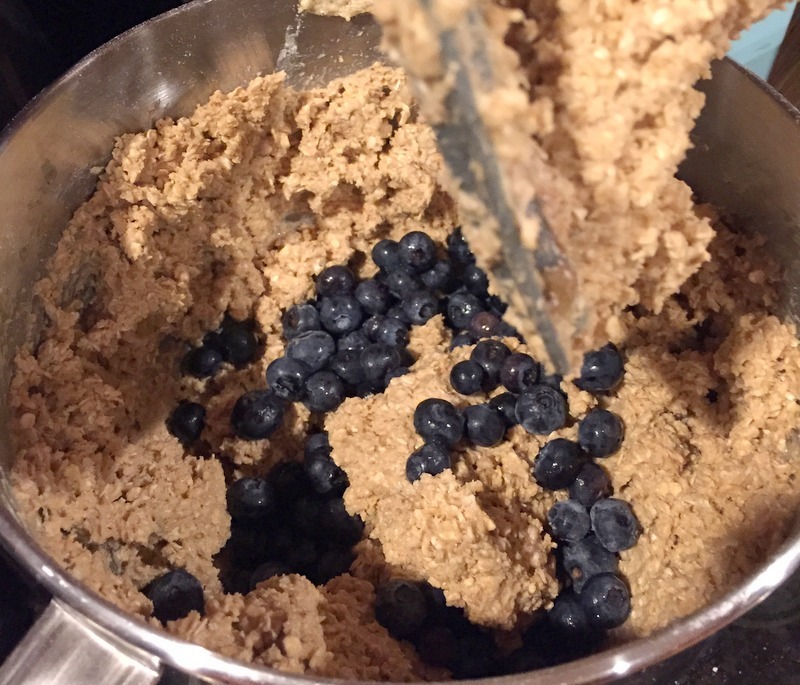 I got the recipe from This Silly Girl’s Life, and I substituted frozen New Jersey blueberries (which I bought fresh in season) for the dried, sweetened blueberries. So they had a tart quality that I liked, but maybe if I tried again I would use dried and sweet to see if H liked them. It seemed like a lot of sugar in a cookie for me, honestly. I liked the idea of little bits of freshness in them. Hmm…maybe this year I’ll look into drying my own fruit. Another experiment! I stirred them in gently, but using them straight out of the freezer kept them from breaking and turning the cookies blue when mixed. And they kept their shape in the cookies. 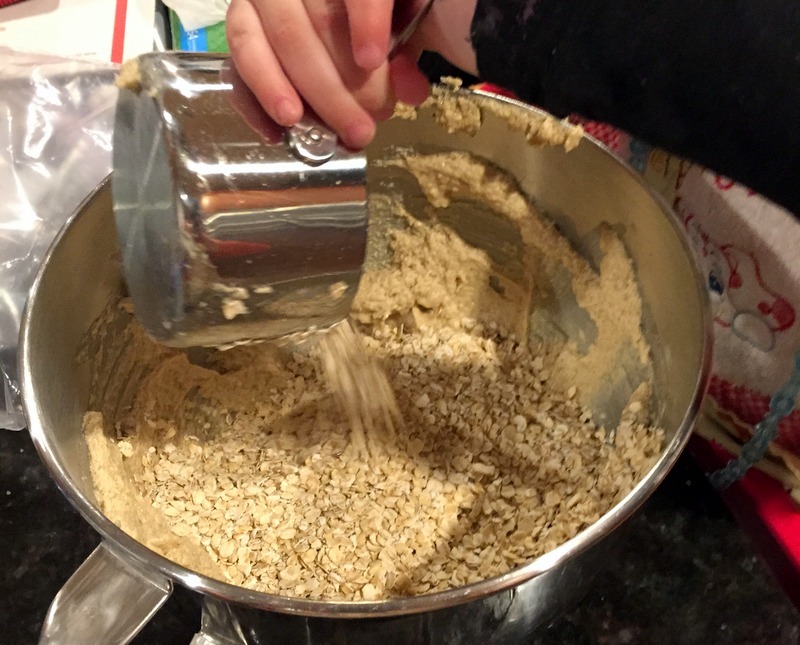 I made a few other little tweaks to the recipe…I used all butter and no shortening (do not like the flavor in baked goods). And I like to use whole milk as well. Preheat your oven to 375 degrees. Line 2 baking sheets with parchment paper. Use a mixer to cream the butter and brown sugar until light and fluffy. Add the egg, milk, and vanilla and mix well. 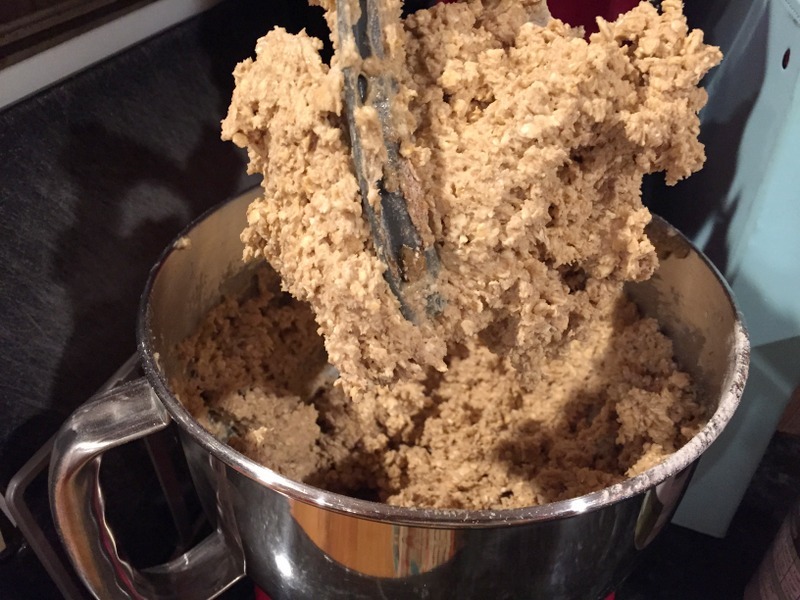 Add the oats, flours, baking soda, salt, cinnamon, and nutmeg. Mix until combined. Add the blueberries and mix until incorporated. Spoon tablespoons of the cookie batter onto the lined baking sheets and bake for 10-12 minutes or until the cookies become light golden around the edges. Remove from the oven and let them rest 1 minute before removing to a cooling rack. (Makes about 3.5 dozen cookies).